This entry was posted in Awards and tagged David Weber, Larry Correia, Linda Nagata, Marko Kloos, Rampant Manticore Awards by Mike Glyer. Bookmark the permalink. Huh. This is the first I have heard of this Award; their PR for it outside their organization has been non-existent. The first appearance of the awards website in the Wayback Machine was on May 29, 2016. Based on the rules, it sounds like a well-run award apart from the lack of publicity, and the trophy is lovely. I hope that they’ll start promoting it to the public this year so that they can gain more awareness. I’m very happy to see Linda Nagata getting recognised for The Way Home. I really enjoyed that story, and her Red trilogy is good stuff as well. Mark: I’m very happy to see Linda Nagata getting recognised for “The Way Home”. I just realized which story that is, and you’re right! It was so good that I still remember the details of the story more than a year after I read it. I think it may have even been on my Hugo nominating ballot. How wonderful that it won an award. “The Way Home” was indeed an excellent story. 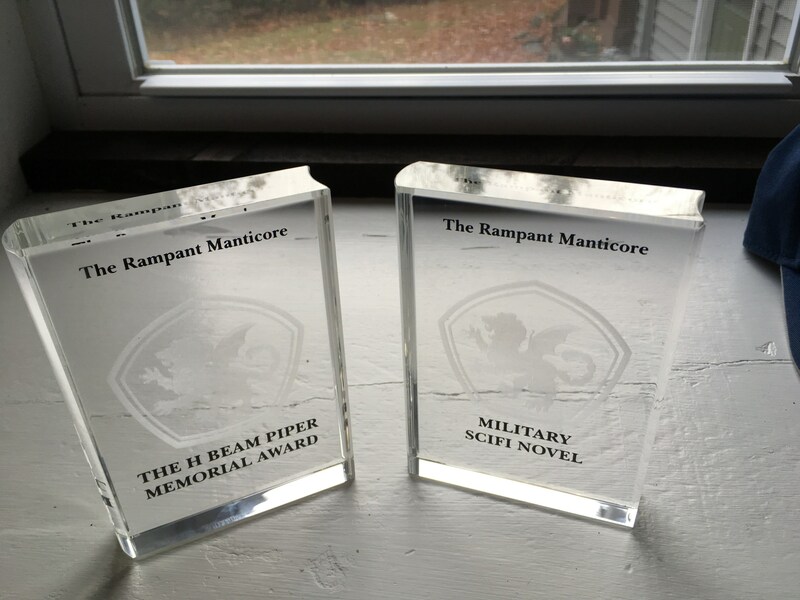 Regarding the SF novella category, I occasionally hang out on the same forum as Timothy Ellis and I’ve never seen him mention that he won the Rampant Manticore or any other award, so I suspect one of the other two nominees in that category won. In the SciFi Short Story category, McNeil, Pedroso and Velden all have Twitter accounts. Data point: I’d never heard of this award until this post, either. I’m very happy to see Linda Nagata getting recognised for The Way Home. Agree completely. I wonder why they can’t figure out whom they gave the awards to. @Greg Hullender: It’s absurd, isn’t it? It shouldn’t be so tough, even if it is an insider award for that fan group. How bizarre. In a loose organization, finding who has the information may not be trivial. It may also not be a high priority for the few receiving the question. George Phillies: Well, someone I KNOW has the information did not answer my email at all. (Not on either concom as far as I know.) That’s life. I was another nominee in the novella category and I am assuming I did not win. So if Timothy Ellis didn’t win, then it must have went to Jolie Mason. Maybe? ?